Grease muffin molds with melted butter or use paper or silicone "hats" (I did not have enough silicone ones, so I used paper cups as well). Mix flour with cornstarch and yeast in a separate bowl. Beat butter and sugar until smooth and creamy. Add egg and beat some more until well combined. Stir in flour with yeast and cornstarch. Add coffee, mix until smooth and creamy. Add figs, dates and nuts and stir gently. 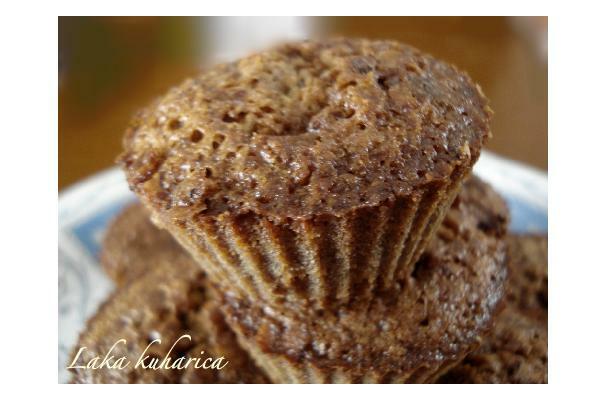 Fill half of each muffin cups with the mixture (or, if you want fewer cakes, fill each cup to the full). Bake little cakes in oven for about 25 minutes at 180ºC or until they are done (the trick with a toothpick!). When baked, allow cakes to cool slightly and then remove them from the mold. Serve lukewarm or cool.